Community engagement is part of Portonave’s organizational culture. Concerned about the sustainable development of the region where it operates, the company contributes through projects and initiatives focused on the community. The company invests in sustainability projects and initiatives aimed at developing the region’s community. Contributions from tax incentives are also made, through mechanisms to encourage culture (Rouanet Law, Audiovisual Law and Municipal Cultural Incentive Law), to promote health (Pronon and Pronas), the Childhood and Adolescent Fund (FIA), the Fund for the Elderly, and the Federal Sports Incentive Law. By choosing to allocated the funds which would be intended to pay taxes to local social and cultural projects, Portonave ensures that the wealth generated by its activities will benefit the population, particularly of Navegantes and its surroundings. 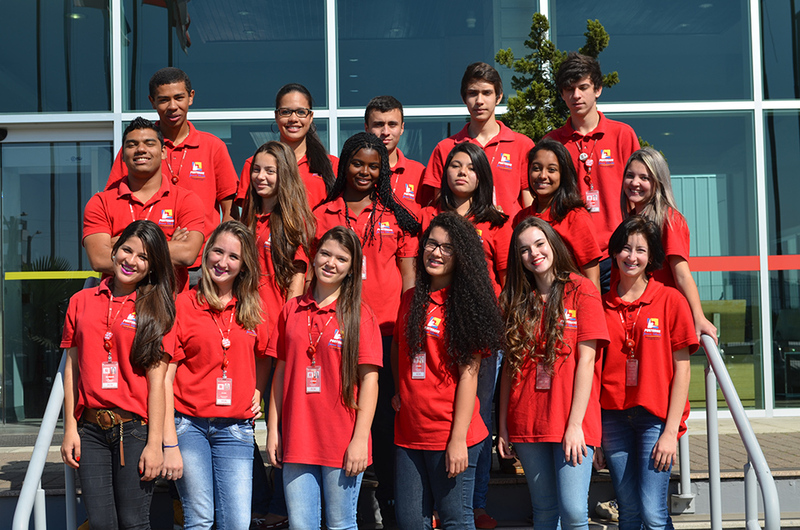 In 2008 Portonave created the Young Talent Program, which offers high-school students from Navegantes’ public schools the opportunity to enter the labor market, combining practical experience and theoretical learning. The program benefits teenagers aged 14 to 18 years old who remain for 1 year in the company. Since 2008, 168 teenagers passed through Portonave and 108 completed the program. The hiring rate of young people is 48%. 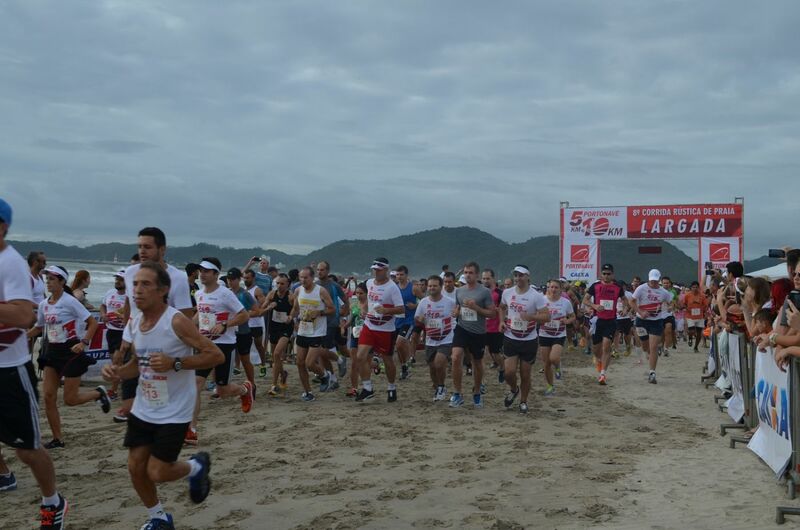 Portonave has been sponsoring one of the region’s most traditional sports events since 2009: the Portonave Rustic Beach Race, already in its eighth edition. The competition receives more than 800 athletes from various places in the country and is held on the sands of Navegantes Central Beach, in two categories, 5 km and 10 km. In addition to being a time dedicated to health and well-being, the Rustic Race benefits the community. All competitors donate cans of powder milk, which are then given to municipal educational institutions with the support of the Navegantes Sports Foundation. 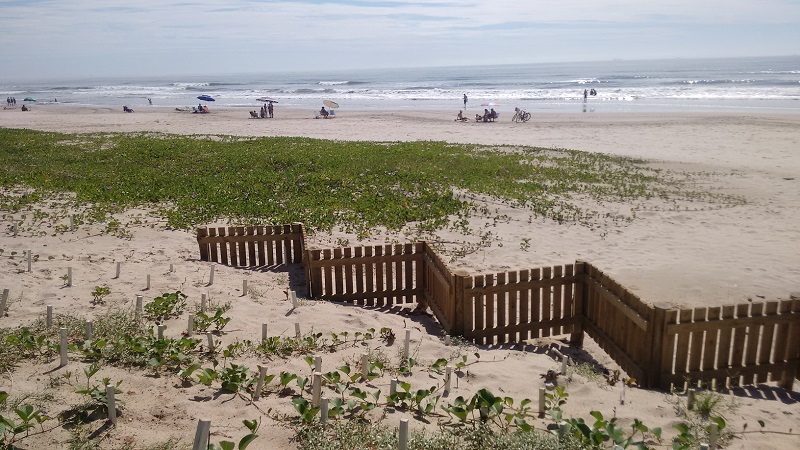 Considered one of Brazil’s most important shoreline recovery works, the Nossa Praia project covers an area of 102 hectares of Navegantes’ beaches. The initiative aims to recover the restinga through actions such as removing exotic vegetation, planting native species, rebuilding dunes and closing irregular access trails. In addition, the project also includes the revitalization of the beach waterfront, the construction of a deck and the lightening of bicycle paths. Nossa Praia is an initiative of Portonave in partnership with Navegantes’ municipal government. Every year, Portonave invests in several projects approved in incentive laws. The proceeds come from taxes, which rather than being paid directly to the government, are transferred to institutions that develop social projects. In 2015, Portonave invested R$927,614.00. By choosing to allocate to social projects the funds which would be intended to pay taxes, Portonave ensures that the wealth generated by its activities will benefit particularly the population of Navegantes and its surroundings. Since 2013, Portonave actively participates in the MNPSC, which is officially endorsed by the United Nations and the United Nations Development Programme (UNDP) and includes more than 130 entities from Santa Catarina state. The movement seeks to develop actions that encourage the Santa Catarina community to achieve Sustainable Development Goals (SDG), established by the UN in 2015, as part of the 2030 agenda. Dreams must be encouraged to come true. For them to become real, someone needs to believe in them just like those who dream of it. The Portonave Social Responsibility Institute was conceived by the will to transform, the belief that people can also be agents of transformation. And exactly due to believing in everyone’s power to contribute, this non-profit organization was created to coordinate and implement environmental projects and actions for the benefit of the community. With the advancement of the digital era, basic IT knowledge has become indispensable. 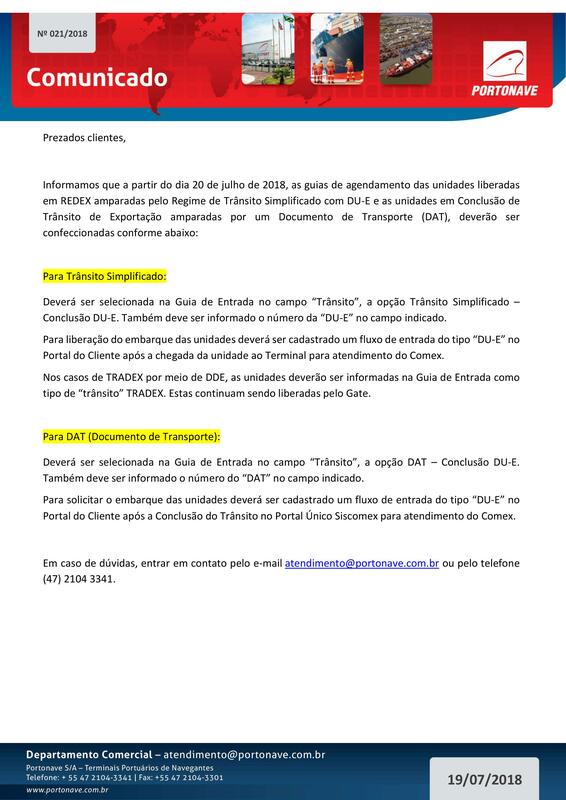 To assist students in this technological development, the Portonave Institute created the Digital Inclusion Project. 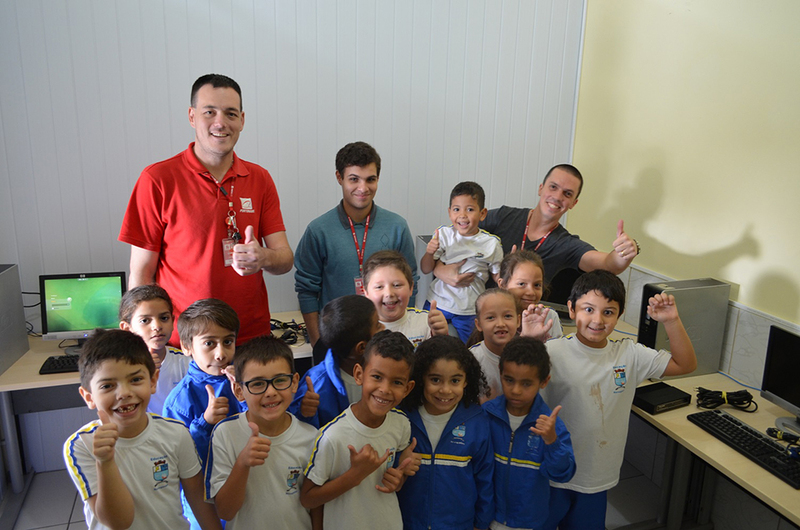 The initiative donates computers and the entire infrastructure to set up rooms for computer classes in Navegantes’ public schools. 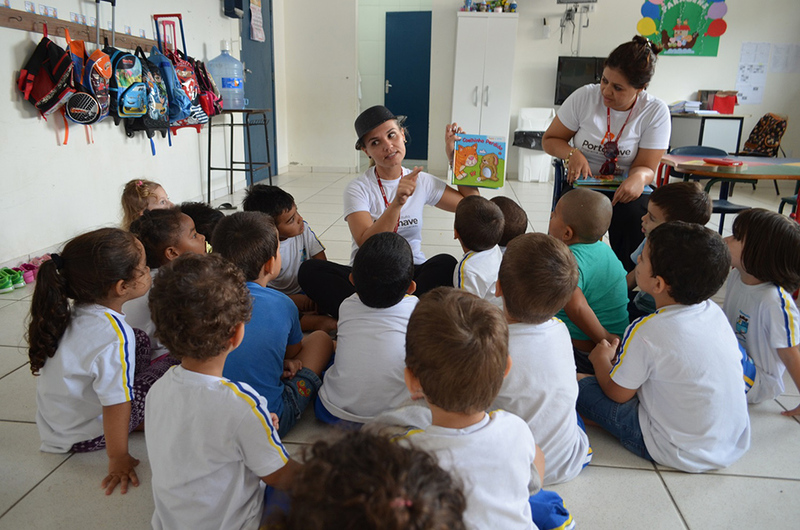 The Wave Project, aimed at promoting knowledge and concepts of citizenship, takes place in schools in Navegantes, Ilhota and Penha, with weekly classes for children, taught by volunteers who deal with values such as respect, equality, and love your neighbor, among others.